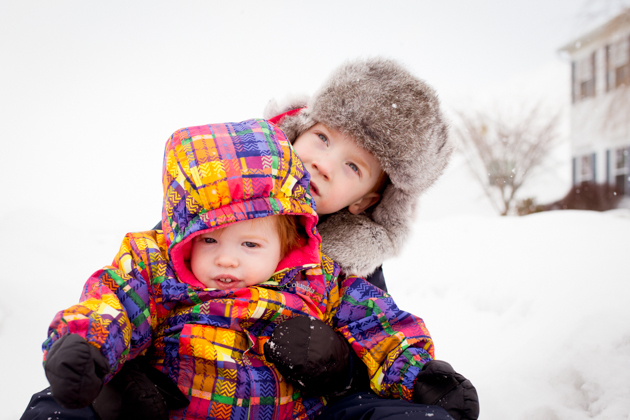 Snow is nature’s way of saying, “Here is a fresh backdrop for whatever you feel like doing today!” So what can you do to improve your snow photography and capture those adorable frosty moments with your kids? There is NO greater opportunity to draw attention to your subject than having them in a POP of color on a pristine white backdrop. For kids especially, vivid rainbow colors (think: what you see in a box of crayons) suggest a playful tone and a feeling of childhood. You may even consider this when selecting winter gear for next season! Okay, the fact that snowballs are involved should not be a surprise to you. 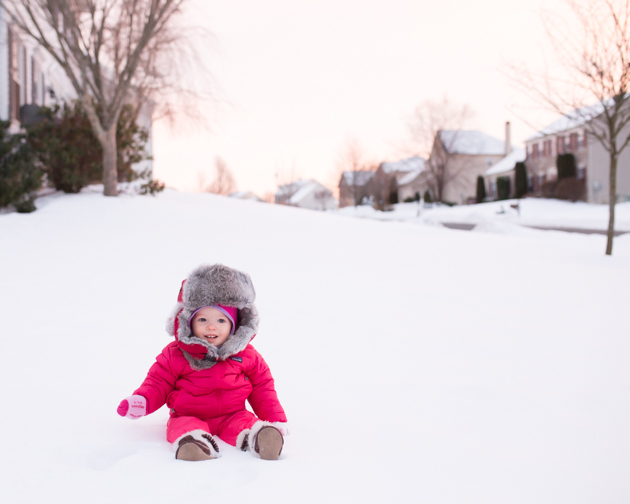 What I’m saying is … bring a scarf to shield your camera equipment from the inevitable flying snowball that WILL be coming your direction — even after you say, “Please don’t throw snowballs at the camera, honey!”. Because, come on. You certainly don’t want to squash the joy of snowball fights … you want to encourage the play, and snap a few in between launches! This is pretty much an all-season tip. 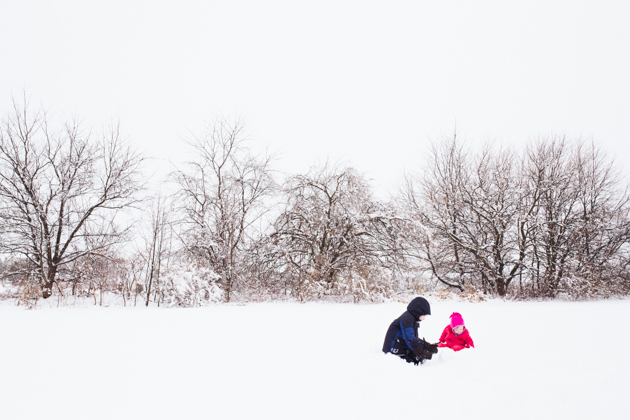 It is easy to get caught up in your main goal of capturing your kids doing XYZ, and to forget to pull back for a second and capture the setting as well. I know those rosy cheeks are your main focus, but LOOK AROUND. Ten years from now, you might not live here any more. You might forget what this place looks like, how magical the bare trees are when they are weighed down with snow. You might forget how tiny the kids are with respect to the trees, the fence, the house. Take five or ten steps back and click away. You will appreciate this perspective later! Newsflash: holding the camera isn’t your only job. 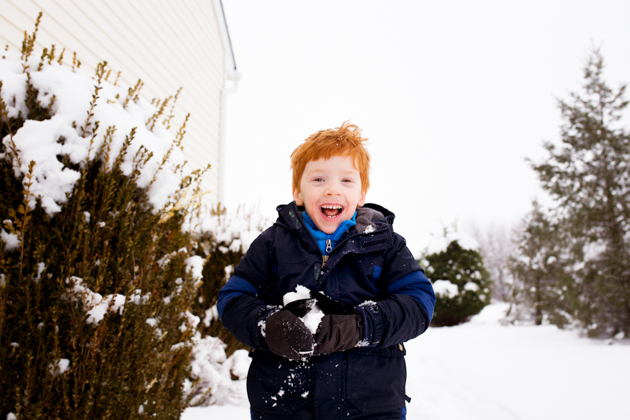 Especially with little children who can tire easily in the cold, you need to make sure you are pulling your weight in the fun department! 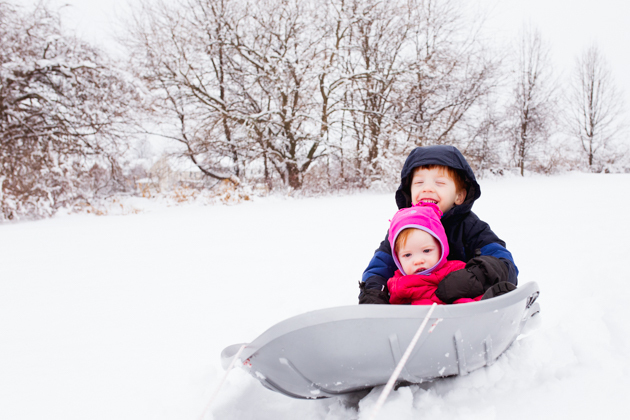 If you don’t have a sled already, get one. You can pull it through the snow with a rope, and still be (relatively) hands-free to capture the faces of your happy passengers. If you are like me, singing Jingle Bells may or may not be part of the charade. The what? The light!! Have you ever noticed that snowy winter days can produce some of the most magical evening light? 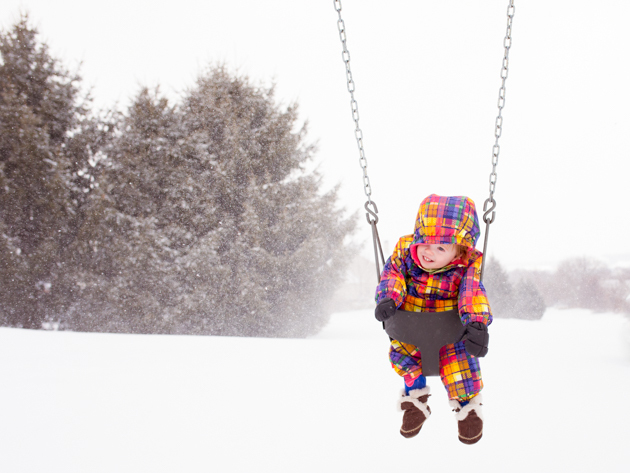 Consider timing your outdoor play sessions near (or even after) dusk. Not only do you get the serene snowy setting, you can capture some of the most amazing winter skies, lending significant interest to your images. 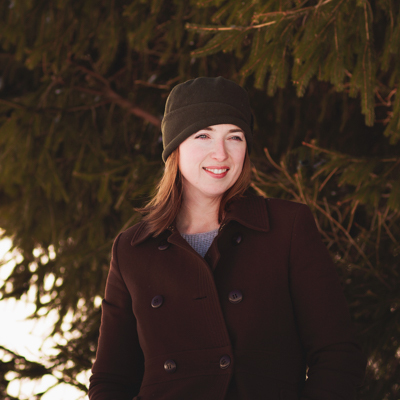 Kathleen Papageorgiou of Jules & George Photography is an on-location photographer specializing in modern, honest, and joyful lifestyle imagery. She works with maternity, newborn, child, and family clients throughout central New Jersey and Pennsylvania’s Lehigh Valley. For more of Kathleen’s joy filled work, visit her website and blog, Like her Facebook page, and follow her on Instagram.